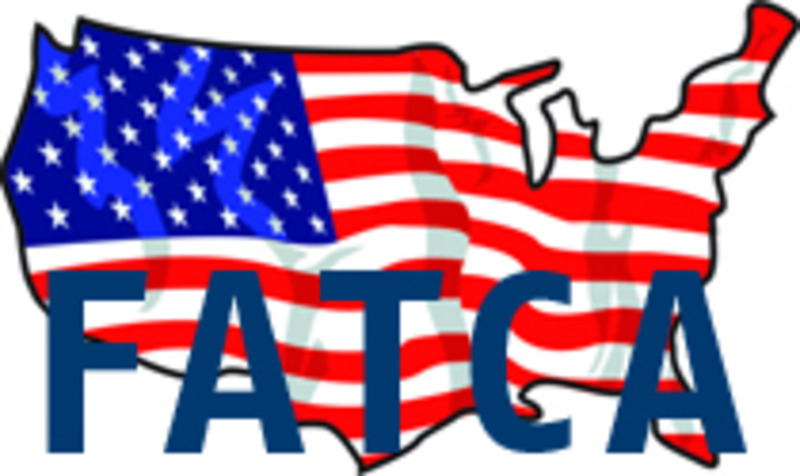 I am a US-born Canadian citizen who is personally impacted by the Foreign Account Tax Compliance Act (FATCA), a US law that was passed in 2010. The Canadian perspective will dominate this article but the reader should be aware that FATCA affects the entire world. The full brunt of this ill-considered addition to the US tax code falls heavily upon people who live outside the United States. For this reason I ask the reader to take a few moments to stand in the shoes of a person who is associated with the United States, in my case through citizenship conferred by birth, and whose life has taken her to live elsewhere. Canada, like the United States, is a land of immigrants. From diverse backgrounds we have come together here in North America and made our lives, having contributed to and benefited from our wonderful countries in a myriad of ways. Like Americans, many Canadians have maintained family ties with the lands of their heritage and many have made visits to their ancestral homelands. We have probably never questioned our right to return providing we did not immigrate from countries with despotic or totalitarian governments. Within our countries we take for granted our right and ability to move freely from one state or province to another. Now, imagine for a moment that you were born in Pennsylvania and moved as a young child to Illinois. You grew up in Illinois, prospered there, raised a family and retired there. Then one day over the dregs of your morning coffee your eye is riveted on a small headline in the back pages of the newspaper that says “Native Pennsylvanians in Illinois Beware of Little-Known Tax Law”. To your horror you read that everyone born in Pennsylvania, even if they haven’t lived there for decades must file Pennsylvania tax returns and “out-of-state bank account reports” annually for life. The penalties for not doing so are draconian and could include jail time unless you enter a special “amnesty program” which would reduce the “failure-to-file” penalties from 50% to 27.5% of your assets and allow you to skip your stay as a “guest” of the state. It sounds like a bad plot for a novel yet today this ridiculous domestic scenario is actually playing out on the international stage for people who are unfortunate enough to hail from one particular nation. Sadly, that nation is the United States of America. The following will help to explain what is happening and why the issue so desperately needs the serious attention of everyone. To understand the origins of our current situation we need to explore the concept of “citizenship-based taxation” (CBT). CBT has been on the US law books since the Civil War initially to punish wealthy Americans who ran away to Europe in the 1860s to avoid military service. It was enshrined as law within the US tax code in 1913 and upheld by the US Supreme Court in a landmark decision of 1924 which has never been over-turned. US tax law states that all persons deemed to be American citizens shall forever be liable for income taxation by the United States wherever their money is made and wherever they live. CBT, which has (until recently) been largely un-enforced, was either completely unknown or misunderstood by many emigrants (and their advisors) to say nothing of their children who have been utterly blind-sided. According to the 14th Amendment of the United States Constitution anyone born in the United States is a de facto US citizen regardless of whatever other citizenship they may hold in the course of their lifetime. Therefore, with the existence of CBT anyone with a United States birth certificate is forever taxable by the US even if they have never lived there as an adult or earned any money there. The only recourse is to officially renounce or relinquish that citizenship at a US consulate or embassy. Although renunciation is a right guaranteed in US law the process is impossibly expensive for many and could even result in financial ruin. Of the world’s 193 nations only two practice CBT, the African dictatorship of Eritrea and the United States of America. Eritrea has been condemned for the practice by both the United Nations and the Supreme Court of Canada. Although it began with the intent of collecting revenue from people who left their country in order to avoid their military responsibilities at a time of the nation’s gravest need, CBT as practiced today is inherently unreasonable and entirely unjustifiable. Its continuing presence in the tax code shows that the United States has adopted the policy that anyone who leaves the United States must be doing so for some nefarious purpose. (In reality, US citizens leave the country for a variety of very ordinary reasons. My father, for example, was offered a job in Canada that was so perfectly suited to his skills and temperament that he took a cut in pay so he could take it.) CBT’s punitive provisions require that people who receive no services from the United States and no payments from the US government, who have no property, investments or any other monetary relationship to that country, and who cost it not a dime, must file tax returns that are so complex and full of so many potentialities for making penalty-generating mistakes that there can be no thought of saving money on accounting fees by doing them oneself. “Cross-border” tax accountants are notoriously expensive and ordinary people making ordinary money are simply out of their league. It must be remembered that CBT is levied in addition to the tax that the individual pays to the country she is actually living in and from which she receives her services. While it is true that a certain amount of “foreign earned income” is exempt from US tax, other forms of “foreign” income such as investments are actually taxed by both countries. In other cases, the US imposes tax on income that is entirely tax exempt in the country of residence as a result of that exemption. For example, CBT demands that a Canadian of US origin declare and pay tax on a long list of registered accounts set up by the Canadian government as tax-deferred or tax-exempt savings vehicles for special purposes. One of these is the Registered Disability Savings Plan (RDSP). The contribution to this type of plan made by the individual is matched up to three times by the Canadian government. By taxing these accounts the United States receives revenue from the entire pool of Canadian taxpayers most of whom have no connection to the United States. In addition, Canadians of U.S. origin risk paying capital gains tax to the IRS on the sale of a principal residence which is fully tax-free in Canada. It is beyond the scope of this article to provide a comprehensive listing of all the requirements that “overseas” Americans (who get nothing for their money) must meet on their tax forms because of CBT. It must suffice to say that they are far greater than the requirements for Americans living in the US who actually receive the services for which they pay. However, I must not fail to mention the Foreign Bank Account Report (FBAR). Instituted in the early 1970s but unknown to most “overseas” Americans until very recently, this is easily the most offensive filing required of us. On the FBAR one must list all one’s “foreign” financial assets to which one is signatory if the aggregate is above $10,000. This includes accounts held jointly with non-Americans and accounts for organizations of which one might be a signing officer. Included in the reporting requirements are account numbers and bank addresses. This exposes the accounts to an array of vulnerabilities never imagined before the age of computers. A Canadian of US birth has all her money, often jointly with a Canadian spouse, in a Canadian bank down the street from where she lives. This account is not offshore. The bank is local to her and she and her husband must have this account in order to survive in their own country. What I earn may be the government’s business but what I have is my business and my business alone. « Is the Offshore Voluntary Disclosure Program (OVDP) Walter White’s money laundering dream? Did I say *I* blamed those who fled “Lincoln and his crony’s [sic]“? I believe my inference is that the *American government* blamed those who fled and that, in the context of that time, the government may have had a good reason from their point of view to levy the tax. I didn’t say I agreed with it. My own point was to illustrate that today *any* reason for such a tax is completely absent. I would also like to point out that this water went under the bridge a very long time ago. It should be over and done. But with CBT the American government relives this old conflict day after day after day, year after year. It has to stop. Regrettably, I do not forsee the Republicans addressing the issue of FACTA in any meaningfull way. They have far far too many long standing issues to deal with……..ones that are of much greater interest to voters in the US. One big thing we do learn from the recent Secessionist posting. We learn that Petros unannounced has snuck right back into an active censorship role. After his quite sometime ago public step-back – regarding ConfederateH, wasn’t it? All Brockers need to be aware that a shifty shifting group of protectors are determined defend their notion of our sensibilities, as well as the suppositiona jointl credibility of a passel of anonymous posters. Yours evermore for freedom. ConfederateH comments get put automatically into moderation because of his rude remarks. If he has chosen to comment as Secessionist, I don’t see why I or anyone else have to put up with his attempt to circumvent his demoted status. As for my role, I work together with a committee. Sharing leadership and decisions at Isaac Brock Society has always been, from the first day, part of the success of this website. I continue to lend a hand, though by no means all the time, with executing the decisions of the committee regarding comments. I have not “snuck” anywhere. The comments editor remains Pacifica and she does a fine job, and she greatly relieves me of the pressure so that I can focus my attention on other matters. Our primary goal is to fight the incursion of the United States in Canada and by extension into the rest of the world. A part of our DNA from the start is to have a place where we are in control of the parameters of the discussion and not a third party, as at the Expat Forum, where whole threads with circa 4000 comments were completely wiped away because the subject was renunciation of citizenship. We therefore began with a non-censorship policy, that some, like ConfederateH, have abused by being nasty towards other people and by presenting views that are odious to civilized human beings. Such discussions have been major distractions and the committee has deemed it necessary to make certain editorial decisions. As for the committee being “shifty shifting”–I can assure you that there has been great stability from the beginning. Of the original six, one member dropped out and another has stepped down, and we added one replacement who has been around since the Expat Forum days. The other 4 members have contributed since the website started. UsxCanada seems to enjoying stirring the pot with a bunch of words that make little sense most of the time. No one pays much attention to his verbosity anyway – at least I know I don’t. You, and the other committee members are doing a great job in your volunteer roles at Brock. @Whitecat Thanks for your very kind words, which I have expressed mainly for the benefit of the public and for the members of the committee to see how much I appreciate their contributions. Ditto the Kat’s response. I found Secessionist’s comment most upsetting, not relevant to the mandate of the Brock site, and discrediting of the hard work that is being done here. I for one was delighted it was removed. Obviously controversial discussions are allowed, we have seen many. The other important point is that ConfederationH / Successionist does not have a consistent “alias” and this goes back for a very long time. We recently have been informing / enforcing for several others who use the same tactic on Isaac Brock our policy of using only one consistent “alias”. As far as I see it, this latest incident falls under that same policy. You’re correct that we also have a policy of sticking to the subject and educating / supporting people on FATCA, FBAR and US citizenship-based taxation matters, not going off onto tangents that turn people away from this site where it is intended they be able to get information and be able to discuss what we discuss without being attacked. It is too bad the U.S. legislators used the African Country of Eretria as the model for their Tax Amendent that forces those living or working abroad to pay taxes here and there. Since other countries have dumped the Marxist income tax and that is the only tax allowed as a deduction to the Eritrea style tax on our system, expats have to pay double or come home. If the come home we have no representative to sell our products causin two things. They come home or renounce their citizenship. Now we have the rich people and companies renouncing. Where eill it stop? This bunch also want common core for our schools and U.N. world government. I wish they would move to another Socialist country instead of wrecking the best system eve devised so far. They are all anti-capiitalist and anti indepent thinking. Killing the American dream is their goal and it is sooo saddening. What if someone like Bashar al-Assad signed a decree for CBT to punish refugees fleeing the civil war in Syria? Imagine the chorus of international condemnation which would be led by none other than the USA.